ISLAMABAD : The chief justice on Friday took notice of alleged misconduct by Gilgit-Baltistan’s tourism minister at the Islamabad International Airport. Tourism minister Fida Hussain reportedly had a heated argument with an airport official. 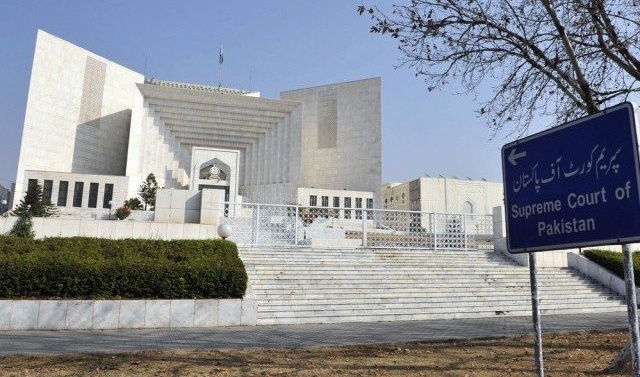 Chief Justice Saqib Nisar demanded that both the minister and official appear at the apex court’s Lahore registry on November 17. According to a press release, the disagreement occurred over a flight that had gotten delayed due to bad weather. The minister reportedly pushed the official and he stumbled. Chaos reigned at the IIA as passengers including ministers of Gilgit-Baltistan staged protest after a Gilgit-bound flight of the Pakistan International Airlines (PIA) was delayed for technical reasons before being ultimately cancelled. G-B ministers including Tourism Minister Fida Khan and Law Minister Advocate Aurangzeb burnt their coats in protest at the airport lounge and brawled with officers who had come to resolve the matter through talks.